DANBURY, CT / ACCESSWIRE / April 3, 2017 / As millennials continue to exert greater control and influence over today's economic climate, it has become mission critical to understand their real time spending patterns and methods in order to optimize effective marketing strategies and engagement. Fosina Marketing Group, a digital marketing services agency that focuses on "digital direct to consumer marketing," notes the growing trend of millennials favoring subscription services in a variety of product areas. With each passing year, this audience shows a demonstrable preference to monthly payment models offer in terms of freedom, convenience, and flexibility for everything from television programming and music, to food delivery and clothing. This change in buying patterns is leading many marketers to investigate new ways to package their products and services in order to satisfy the need of this important segment and their changing preferences. Tien Tzuo, CEO of the subscription billing company Zuora, addressed this trend during an interview with Forbes: "Over the past few years, we've seen a seismic shift in growth strategies for business brought about by a growing preference on the part of both businesses and consumers to subscribe to services, rather than buy products." Tzuo went on to point out some of the biggest attractions to these services. "Companies are allowing their customers the adaptability to either pay as they go, or pay per subscription monthly, or via a long-term contract. The point is to have flexibility." Millennials continue to demonstrate their preference for access rather than ownership, The vast majority of subscription services do not require an upfront financial commitment. The feature that allows customers the capability to instantly leave these programs for a "better offer" is seen as a comfort and benefit. Marketers have realized that there is a great need and focus to provide real time product and inventory that is competitively priced. The rise of all consumers, including millennials, to prefer and embrace a subscription-based relationship with their choice of products and services demands that smart companies re-evaluate and optimize the way they currently engage with their customers and prospects. For the millennial generation, these type of connections with brands are "table stakes" in terms of affinity and loyalty. This generation has a much different sense of values and expectations when selecting vendors and service providers. At Fosina Marketing Group, we believe that in order for companies to remain viable there is a mission critical emphasis and focus requirement. Dated strategies and tactics will simply not connect with this audience and/or their buying patterns. Winners in this new marketplace must examine their strategies and tactics with an eye towards total readjustment and transformation. Failure to adapt to this hyper changing shift in media consumption and engagement patterns could spell disaster. It is paramount for any marketer that is serious about maintaining and/or increasing its level of engagement and profitability with this audience, develops new and innovative ways to engage the audience and deliver their products/services. 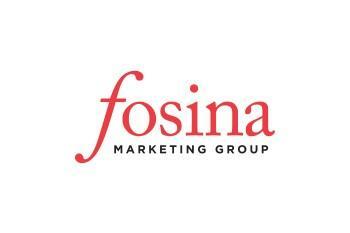 Fosina Marketing Group is a digital marketing services company that is focused on providing insight, products and services as the foundation for our customers to take advantage of the shifting consumer purchasing patterns and trends. Since 2003, Fosina has provided a full suite of "direct to consumer" digital components that are the foundation of an eco-system that provides end to end subscription marketing. The experts at Fosina Marketing Group have a clear understanding on how to integrate and leverage evolving online strategies, tactics, and tools to create successful programs for our clients. We are proud of the track record of success we have created for our clients. As students of this direct to consumer research and trends, we are committed to remaining at the forefront of consumer media and product consumption patterns. Our commitment to our clients is that we will work to insure that the most relevant and compelling message will be delivered to their prospects and customers at the most fertile time and venue as cost effectively and efficiently. We understand clearly that achieving your bottom line is our bottom line. As a marketer, there is no better partner in this hyper-changing and intensely competitive arena.